The IAAF has revealed it conducted - and has now closed - an investigation into its own president Lord Coe, over whether he misled MPs about when he first found out about corruption and doping allegations. The investigation by athletics' governing body's ethics board started in September 2018. It found "no evidence such that there is any realistic prospect that any disciplinary case could be established that Lord Coe intentionally misled the parliamentary committee". "I hope this demonstrates that no-one is above the rules and everyone in the sport is subject to the same scrutiny," said Coe. In a statement, the Ethics Board revealed that Coe explained that his PA had failed to read him attachments on a key email he received, and that the PA supported this version of events. The investigation followed a report last year by the Digital, Culture, Media and Sport (DCMS) select committee which concluded that answers Coe had given to it during an evidence session in 2015 relating to when he first learned about corruption and doping allegations were "misleading". Coe told the MPs he was "not aware" of specific allegations of corruption in Russian athletics before they were made in a German TV documentary in December 2014. However, the BBC revealed that four months earlier, in August 2014, Coe had said in an email to the IAAF ethics commission: "I have now been made aware of the allegations." Following the two-year long parliamentary inquiry, Coe - who has ruled athletics since 2015 - was summoned to reappear before the committee, but instead responded in writing. Damian Collins, chair of the DCMS, said the committee stood by its report. "Lord Coe either knew more than he suggested he did when he gave evidence to the committee, or he knew enough about the Shobukova to have asked more questions about it within the IAAF at the time," said Collins. "The committee stands by the conclusions of its 2018 report." 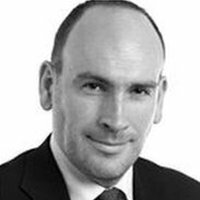 The chairperson of the Ethics Board, Michael Beloff QC, considered there to be justification to investigate a "serious" infringement of the IAAF's code of ethics. Coe was alerted to the scandal by former world 10,000m record holder David Bedford via email in August 2014 when Coe was IAAF vice-president. Bedford sent the two-time Olympic gold medallist an email containing several attachments detailing allegations from Russian marathon champion Liliya Shobukhova that she had paid almost half a million euros to cover up positive doping tests after being blackmailed by senior IAAF officials. 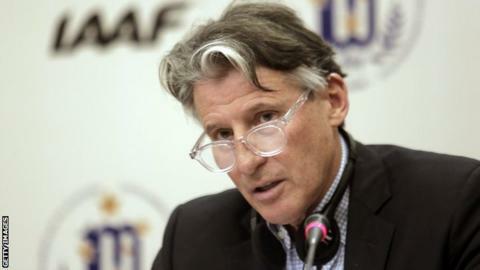 Coe, in his evidence to the committee, said he forwarded Bedford's emails to the IAAF's then-recently formed ethics board, without reading them or opening the attachments. Bedford - who also spoke to Coe about a related matter on 21 November 2014 - said he was "very surprised and quite disappointed" when he heard the explanation. The investigation, headed up by Sir David Calvert-Smith, a former High Court judge, also found there was no evidence to suggest Coe was aware of the allegations from "some other source". "The investigation has therefore not identified evidence of a potential breach of the Code of Ethics by Lord Coe," the ethics board said. "The investigator concluded that there is no realistic prospect of establishing that Lord Coe knew more about the Shobukhova affair at the relevant time than that Liliya Shobukhova had made a complaint, and that the complaint was serious." Who can break Shearer's Premier League scoring record? Can you name the past 19 Premier League Golden Boot winners? It has one of the widest ranges of choice in sport, from jumps and throws to sprints or distance and cross country running. With latest scores and headlines sent straight to your device, personalisation and much more, ensure you have a great sporting life with BBC Sport. BBC Sport picks out the major sporting events of 2019, including the Cricket World Cup, Women's Football World Cup and the Rugby World Cup.